Bon voyage! This ship is setting sail to a very remote exotic island! 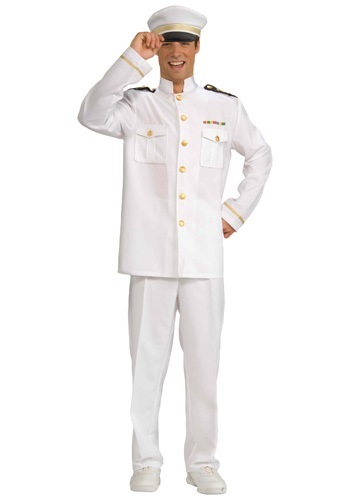 You'll look like the distinct captain of the Titanic in this Mens Cruise Captain Costume. This costume looks great when paired with a woman's sailor costume to make for a cute couples' costume.